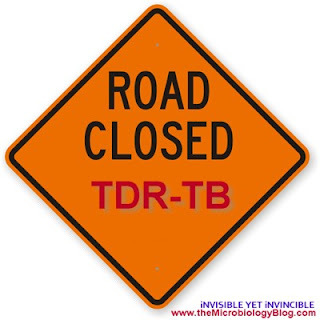 TDR-TB : No Choice Left! As if Multi-drug resistant (MDR-TB), extensively-drug resistant (XDR-TB) were not scary enough, now TB has a deadlier edge known as Totally Drug-Resistant TB (TDR-TB). As the name says it all, the physicians are literally left with no choice to treat, as all known TB combination drugs do not work on the patient, owing to the TB bacilli’s ability to mutate and get resistant to the drugs. The clinicians have little to offer these patients with TDR-TB except for drastic surgeries and some relief medications. TDR-TB cases were first reported in Iran in 2009 and India stands as the second country to report this scary form of TB and 12 TDR-TB cases have been reported in the last 3 months at Hinduja Hospitals in Mumbai. Of the 12 cases reported in Mumbai 83.3% of them were from the Mumbai city. Moreover, it is worrisome to note that the average age of the 12 patients is just about 32 years. The TDR-TB strains from the reported 12 patients were found to be resistant to all the first line drugs namely, streptomycin, isoniazid, rifampicin, ethambutol and pyrazinamide and second line drugs namely, ofloxacin, moxifloxacin, kanamycin, amikacin, capreomycin, para-aminosalicylic acid and ethionamide. In the report published in the December 2011 issue of Clinical Infectious Diseases journal, the authors declare that the emergence of TDR-TB is the failure of overall health system. Only 1% of patients with drug resistant TB have access to second-line drugs provided by the government sector and the private sector has clinicians who do not follow appropriate guidelines for management of TB patients. According to an earlier study on the prescription pattern of clinicians in a particular area, less than 5% of clinicians prescribed the right drugs for drug-resistant patients.